So the scribes of the Bible embodied the intersection of the fields of law, writing and the Jewish religion. This connection can be likened to today’s profession of journalism. In fact the basic training and education of lawyers and journalists are often identical. Both prelaw students and journalism majors are advised to choose courses that emphasize research, critical thinking, writing and close reading. The law profession is dominated by members of the Jewish community. In addition, the major media companies in America are headed by Jewish CEOs. The heading for these verses of scripture is “The Plot to Kill Jesus.” Jesus’ death was therefore planned in the aftermath of his demonstrated ability to give life to the dead. Because the Sanhedrin feared the popularity of Jesus’ message, they plotted Jesus’ crucifixion. Jesus pointed out the Jewish leaders’ wickedness and their misuse of the people. He condemned their evil monetary practices that had desecrated the holy temples of God. And the Sanhedrin saw in Jesus the end of their influence, control and power. So they sought to kill him. Minister Louis Farrakhan has closely followed Jesus. He has demonstrated the Jesus Leadership Model. And as a result of his desire to follow the Jesus that both Bible and Holy Qur’an call the Messiah, he has acquired unique and extraordinary abilities. This is undeniable. No one enlightens and positively impacts the Black community like the ministry of Minister Louis Farrakhan. In fact, it is not an exaggeration to describe Minister Farrakhan’s ministry as indispensable to and vital for Black survival. Minister Farrakhan is to Black America what Islam was to Europe in the Dark Ages. He possesses the guidance, the programmatic thrust and the philosophy necessary to bring the Black community out of our slavery-induced darkness. The historic 1995 Million Man March is one of the many “miraculous signs” performed by the Minister that demonstrates this. For in one day the Minister increased voter registration and the adoption of Black children, helped reduce Black-on-Black crime and sparked an increase in Black men joining community-based organizations and houses of worship. The plot to crucify Minister Farrakhan has always included the effort to destroy his strong appeal and attraction. 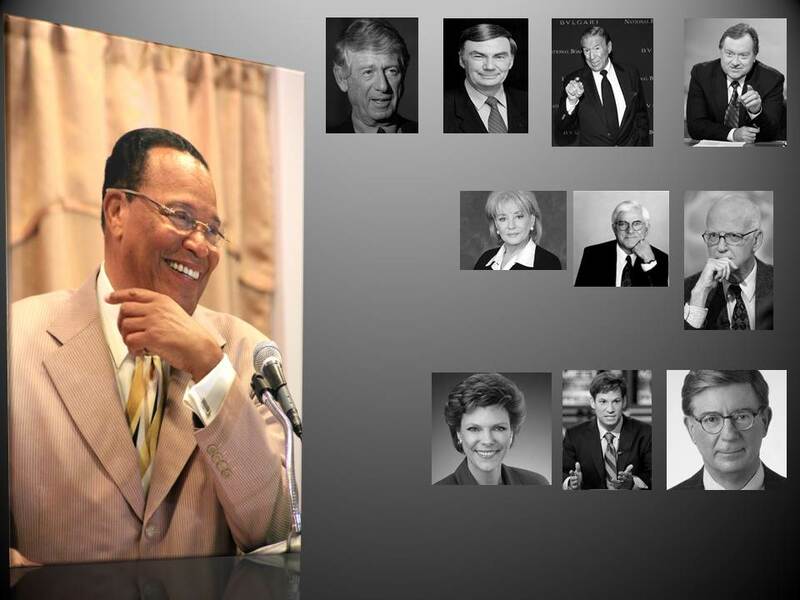 The strongest and most powerful of journalists—the modern scribes—have often been used to try to destroy the magnetism of Minister Farrakhan that, like Jesus, if allowed to continue “everyone will believe in him.” These mighty journalists, who were trained in research, critical thinking, writing and close reading, were used in a critical aspect of Minister Farrakhan’s crucifixion. Their job was to mock him and caricature him. Their job was to denigrate his message and present his ideas as unsound and unpopular. But in each case they failed miserably. None of the celebrated modern scribes was able to accomplish the goal of destroying Minister Farrakhan’s magnetism among his people. And what is fascinating and seldom considered is the high level of formal education attained by these celebrity journalists contrasted against the absence of any high-level educational degree held by Minister Farrakhan. Tim Russert of NBC’s Meet The Press held a B.A. in Political Science and a Jurist Doctorate also. He was bestowed a total of 48 honorary degrees and was the recipient of the Edward R. Murrow award as well an Emmy award and numerous other awards in journalism. Sam Donaldson graduated from the Mexico Military Institute. Ted Koppel of ABC’s Nightline holds a B.S. degree from Syracuse and an M.A. from Stanford University. A member of the Broadcasting Hall of Fame, Mr. Koppel has won every major broadcasting award, including 40 Emmy Awards, eight George Foster Peabody Awards, 10 DuPont-Columbia Awards, and two George Polk Awards. His 10 Overseas Press Club Awards make him the most honored journalist in the Club’s history. He has received more than 20 honorary degrees from universities in the United States. Phil Donahue holds a B.A. from University of Notre Dame. He won 9 Emmy Awards and is an inductee into the Academy of Television Arts and Sciences Hall of Fame. Barbara Walters graduated with an English degree from Sara Lawrence College and has won numerous awards. Cokie Roberts holds a B.A. degree in political science from Wellesley College. Minister Louis Farrakhan went to college but did not complete it. His teacher is the Honorable Elijah Muhammad, who only completed the third grade. 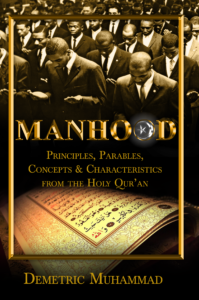 But what Mr. Muhammad taught Minister Farrakhan has equipped him and prepared him in such a way that the sharpest and cleverest of journalists fail in their attempts to derail his powerful message. In fact, amidst his crucifixion at the hands of the modern scribes, Minister Farrakhan routinely enjoyed approval ratings that any politician would envy. Time magazine’s cover story in 1994, “Ministry of Rage,” featured an interview and survey of Minister Farrakhan’s appeal and attraction among American Blacks. The surveys found that nearly two-thirds of all Black people agree that Minister Farrakhan speaks the truth!